There are a estimated 15 million family caregivers in the U.S. who are assisting seniors with functional and cognitive limitations. Family caregivers manage household tasks and finances, provide personal care and hygiene, and serve as care coordinators, thereby allowing the person living with dementia to remain in the community. 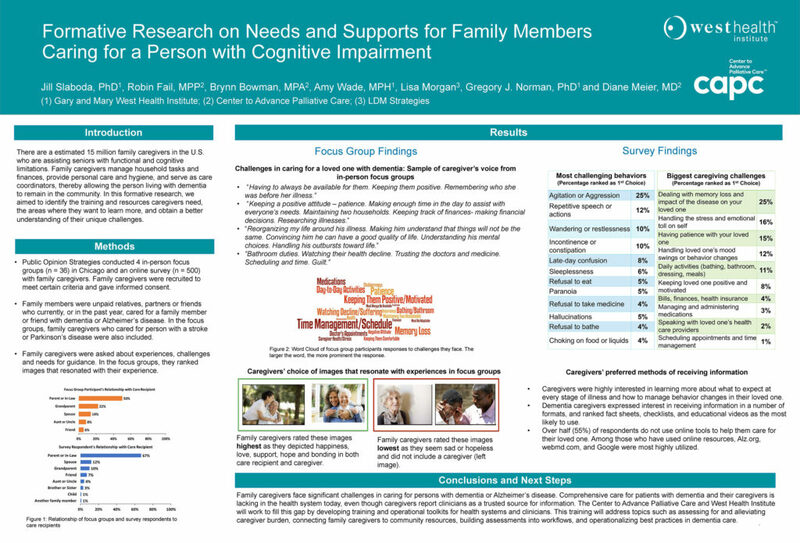 In this formative research, we aimed to identify the training and resources caregivers need, the areas where they want to learn more, and obtain a better understanding of their unique challenges.